Move easily and comfortably on a bar stool that provides free range of motion -- the Brighton Bar Stool from Moe's Home Collection. The bar stool's contoured design allows guests to sit back and relax in style and luxury. And with a supportive footstool and smooth gas lift, it is easy for guests to sit comfortably for hours on this bar stool. 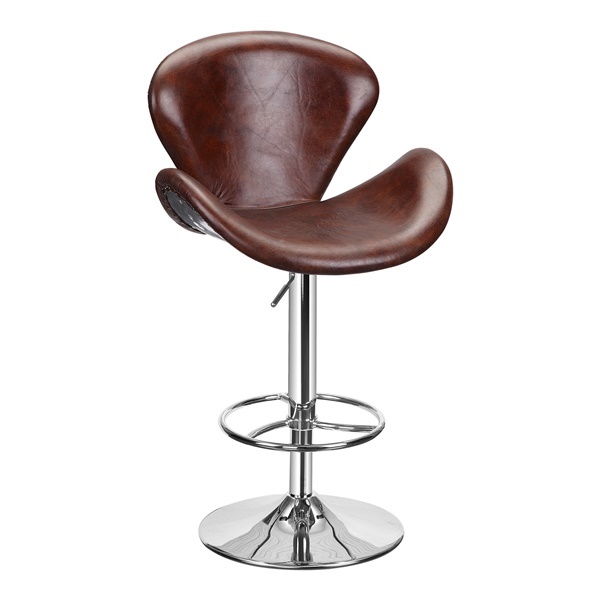 Offer your guests a bar stool that is stylish and cozy -- the Brighton Bar Stool.